Looking for an Electrician located in Kawana Waters? Do you work or live in Kawana Waters? Big news! Electrical Excellence has a qualified electrician close to you! We not only service Kawana Waters, but also the surrounding suburbs of Birtinya, Bokarina, Buddina, Minyama, Parrearra, Warana, Warana Beach, Wurtulla and all suburbs with in the Sunshine Coast postcode 4575. 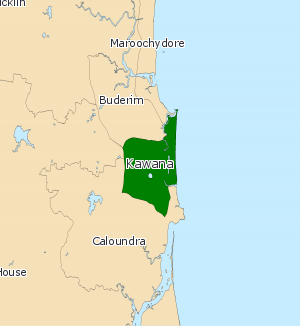 Kawana sits between Currimundi lake and the Mooloolah River towards the southern end of the Sunshine Coast. It boasts great surfing and beach locations as well as shopping precincts. Electrical Excellence Electricians have been servicing Kawana Waters and other Sunshine Coast Suburbs for nearly 10+ years. We are so confident of our workmanship that we guarantee it. We won’t be happy until our customers are happy. We won’t leave unsightly big holes in your walls and will always clean up after ourselves.